Evaluation of decompression sickness DCS (bends) and other types of diving injuries should be carried out by a diving medicine specialist. Specialist examination is to look for the presence of factors which may predispose to decompression sickness especially if associated with "underserved" episodes of neurological decompression sickness. Investigations may include bubble or contrast sonography � transesophageal echocardiogram. Patent foramen ovale and other cardiac shunt or intrapulmonary shunt presence should be excluded. There is need to assess the effect of any diving incident upon the diver�s subsequent health. If there is residual symptomatology, does it affect the diver safety and health? Recommended abstinence from diving following injury is dependent on proper evaluation of the severity of injury, proper treatment and response to treatment. Return to diving evaluation is based on this reassessment. 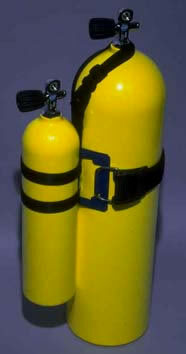 The poorly conditioned recreational diver should abstain from diving longer than the well conditioned commercial diver. Four week symptom free interval is required for the recreational diver with simple decompression sickness (pain only) to return to diving following recompression or HBO therapy. In more complicated DCI, the Navy requires a minimum of 3 month layoff from diving. For recreational divers who experience decompression illness (DCS + arterial gas embolus) a 6 month hiatus in diving is requisite followed by a thorough examination by a dive physician.